You are invited to the African American Celebration through Poetry, Saturday, Feb. 5, 1-4 p.m., at the West Oakland Branch Library, 1801 Adeline St., Oakland. It is the longest running public program in the library system. Free and open to the public, everyone is invited, especially poets of African Descent. This year the theme is redemption, healing and forgiveness. For information, call (510) 238-7352. On Feb. 18, 7 p.m., at Modern Times Bookstore, Krip-Hop Nation will present an author panel of new books by Black disabled writers and friends, including Toni Hickman of Texas, Adarro Minton of New York, Allen Jones of San Francisco and friends of Krip-Hop Nation, DC Curtis and Bones Kendall of Los Angeles. All of these authors have recently published their books, from poetry to fiction and non-fiction. Friends of Krip-Hop Nation DC Curtis and Bones Kendal of LA wrote a dream of all Krip-Hop youth, and that is to be on stage or on MTV with a record deal. But in their fiction book, “Truth and Pain,” starring the “Gangsters and Retards” in the “Mystique-cal Person-a” of MC Cripple Crip that follows a group of disabled youth. It has a twist that will make you laugh, think, cry and sing. This group of authors coming from Texas, New York, LA and San Francisco will krip your mind and limp your stride as they spread their words and love. Modern Times Bookstore is at 888 Valencia St., San Francisco. The event is Friday, Feb. 18, 7 p.m., but get there early, buy books and look around. Event sponsors are Modern Times Bookstore, Krip-Hop Nation, San Francisco Bay View newspaper, Poor Magazine and I.D.E.A.L. Magazine. Thursday, Feb. 3, 7 p.m.: “Shirley Adamsb” by Oliver Hermanus (South Africa, 2009). A single mother fights to raise her paraplegic son in the slums of Cape Town in this powerful melodrama from South Africa, winner of the Durban Film Festival’s awards for Best South African Film, Best Actress and Best Debut Film (92 mins). Saturday, Feb. 5, 6:30 p.m.: “Beyond the Ocean” by Eliane de Latour (France/Ivory Coast, 2008). Two friends from the Ivory Coast try to make it big in Europe — with different results — in this raucous look at the African immigrant underground in Europe (106 mins). 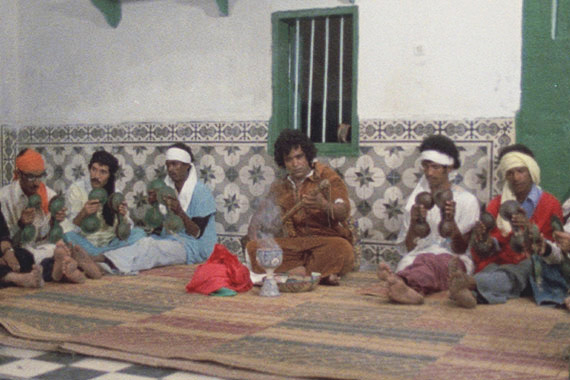 Thursday, Feb. 10, 7 p.m., “Trances” by Ahmed El Maanouni (Morocco, 1981). The mighty Moroccan music group Nass El Ghiwane is the subject of this powerful concert film documentary, a must-see for anyone interested in Moroccan music and culture. This is Martin Scorsese’s first choice for his World Cinema Foundation’s restoration work and a key influence on Peter Gabriel’s “Last Temptation of Christ” soundtrack (87 mins). Thursday, Feb. 17, 7 p.m., Contemporary African Short Films. These six short films, including three debut projects, variously look back at African history, explore contemporary issues and imagine a dystopic future. The shorts are “A History of Independence,” “Dr. Cruel,” “Intermittent Delight,” “Mapping Journey,” “Atlantique” and “Pumzi” (75 mins). The Pacific Film Archive Theater is located at 2575 Bancroft Way, between Telegraph and Bowditch, in Berkeley. Advance tickets are available by calling (510) 642-5249 or visiting http://bampfa.berkeley.edu/tickets. For more information on these and other programs, visit http://bampfa.berkeley.edu/filmseries. For more info about this event, visit www.citylights.com or call (415) 362-1901. For more information on the author, visit www.SpeakOutNow.org. Well, I missed the kickoff of the series Friday, Feb. 4, but the exhibit is still up: New contemporary arts series kicks off with a night of music by DJ Mia Moretti, street dancing with Turf Feinz, and Tag Team Talks with notable Oakland creative. The Oakland Standard explores experimental ways to connect art to our contemporary lives. Proudly produced in Oakland and generously supported by the James Irvine Foundation, the Oakland Standard is an experimental series of music events, blogs, installations, film screenings, lectures, workshops, performances and more – all exploring new ways for the museum to present content and for the public to participate in the museum experience. Museum admission is $12 general, $9 seniors and students with valid ID, $6 youth ages 9 to 17, and free for members and children 8 and under. OMCA offers onsite underground parking and is conveniently located one block from the Lake Merritt BART station, on the corner of 10th Street and Oak Street. The accessibility ramp is located at the new 1000 Oak St. main entrance. For more information, visit www.museumca.org. Brian Copeland’s hit show, “Not a Genuine Black Man,” plans two benefit performances at The Marsh San Francisco and three February performances on his home turf in the East Bay at The Marsh Berkeley. The Marsh is very proud to be the theatrical producer of what became the longest running solo show in San Francisco history and thrilled to welcome Copeland to our Berkeley stage for the first time. We are also very grateful to him for stepping forward with this benefit to help The Marsh during Dan Hoyle’s injury hiatus. The Berkeley performances are on Friday, Feb. 4, 11 and 18, 8 p.m., at The Marsh TheaterStage, 2120 Allston Way, near Shattuck Avenue in downtown Berkeley. The public may call Brown Paper Tickets at (800) 838-3006 or visit www.themarsh.org. “In 1972, the National Committee Against Discrimination in Housing called San Leandro, California, ‘a racist bastion of white supremacy.’ It was named one of the most racist suburbs in America. CBS News and Newsweek covered the story. The U.S. Commission on Civil Rights conducted hearings. And then, we moved to town.” So writes Brian Copeland in his first solo show, “Not a Genuine Black Man,” revealing a little-known chapter of Bay Area history. In a monologue that’s both funny and poignant, Copeland explores how surroundings make us who we are. Copeland’s memoir based on the show is now available nationwide. It received high critical acclaim from, among others, Publisher’s Weekly, People, Ebony and The Boston Globe while reader reviewers on Amazon.com are calling it “the best book I’ve ever read.” It was chosen as the 2009 selection for Silicon Valley Reads, a library sponsored program which encourages all Silicon Valley residents to read one book at the same time and engage in community-wide discussions on its relevance. It is widely used in school and college courses. For more information on Copeland, please visit his website at www.briancopeland.com. Copeland will be returning to The Marsh in May with his long-awaited new show, “The Waiting Period!” In the meantime, join us for an evening of laughter, tears and sociology. I really enjoyed the West Coast premiere of Bruce Norris’ “Clybourne Park,” which luckily was extended before its official opening through Feb. 20 at the American Conservatory Theater (ACT) in San Francisco. I wasn’t certain what to expect and when the curtain rose on Bev and Russ Stoller, a white couple relocating to Glen Meadow, a suburb outside Chicago, who were selling their home, I didn’t get the references to Lorraine Hansberry’s classic, “Raisin in the Sun”; however, soon the mystery was dispelled when Bev and Russ’ neighbor, Karl Lindner, a representative of the neighborhood community association, with pregnant wife, Betsy, enter the living room, and inform the Stollers that the new owners are a Black family. Surprise! Surprise! When I got it, so to speak, I wondered if I cared to know the neighborhood association back story. The play really didn’t pick up for me until the second act when the characters spoke to me specifically, since I see what was happening in Clybourne Park 2009 throughout the Bay Area. I thought Norris’ depiction of the urban white professional who can’t afford to buy in San Francisco (my reference), so they purchase something in West Oakland, an externalizing of a phenomenon which I don’t recall seeing on stage from the white perspective. Though I am not the audience, I certainly could appreciate just hearing the argument, which is not resolved because the wound is still too new to heal, yes, even 158 years later (1863-2011). Race and real estate. The inequities in American society seem to always end up an issue of property rights or inheritance, of prejudicial values we can’t seem to shake or let go. The Stollers don’t care if a Black family gets their haunted house and the family gets a sweet deal because no one wants to buy it. Fifty years later, the story is the same. No one wants to buy it for different reasons and when the new owners find out that it’s haunted, the wife, Lindsey, asks if it’s legal to not disclose such tales to prospective buyers. All the available floor and seating space is cluttered with boxes, while Russ is seated in an easy chair reading National Geographic and eating ice cream. He is quiet – sort of like a simmering keg of dynamite – and grows irritable and more combustive when Bev invites her pastor, Jim, over for tea and counsel, which is unwelcome. Just as Jim is leaving, the doorbell rings and other unwelcome guests arrive – at least Russ sees them as unwelcome. Haunted houses, reverse gentrification or white supremacy are themes in Act 1, and when the channel shifts in Act 2, the neighborhood is run down as Karl predicted. Did he curse the integration process or was it already cursed? Bev’s maid, Francine, is drawn into the discussion about whether or not she’d buy a house in the fictional Clybourne Park neighborhood as she prepares to leave for the day. It is quite theatrical watching her dodge the overt bigotry in the questions, her husband Albert who comes by to pick her up, acknowledges. In Clybourne Park, white people really haven’t a clue about how Black people live; it was almost as if National Geographic should do a special cover story on the subject. Bev hadn’t met Albert and didn’t know how many children the couple had, or their ages, even though her maid had been with her for many years. 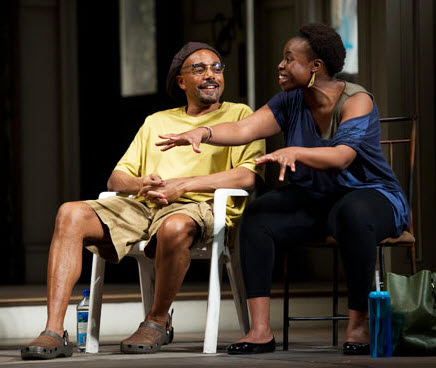 Norris’ “Clybourne Park,” directed by Jonathan Moscone, has an air of mystery, both mystery regarding the house and the couples’ discomfort and a mystery regarding the handling of the tragedy. Post-traumatic stress disorder is not mentioned but clearly is the reason why the Stollers’ son snapped. Another theme is forgiveness and how despite his obvious remorse, Clybourne Park did not forgive Kenneth, a Korean War veteran, who’d served time for murder. Fast forward to 2009, where we meet Steve, married to pregnant wife, Lindsey, with their attorney, Kathy (the daughter of Betsy and Karl, who moved out of Clybourne Park just after her birth), and the story is the same. Seated in the coveted Stoller home are also Kevin and Lena (Lena, the great-niece of Lena “Mama” Younger from Lorraine Hansberry’s play “A Raisin in the Sun”) and Tom from the neighborhood property owners association (the son of the realtor who sold the Stoller home in Act 1). Double and triple cast, the ensemble does a great job with the story and their characters. Actress Omoze Idehenre is outstanding in her role in Act 2 as Lena. If readers recall her namesake, the woman is a feisty reminder and representative of her ancestor. Lena’s husband, Kevin, portrayed by Gregory Wallace, presents a nice foil for her slow combustion. Unlike Idehene’s Lena/Francine, his Kevin reminds me of Albert in the first act, the character’s conciliatory or easy going nature until pushed. Actually, both couples play off one another, Lindsey and Steve a different kind of foil. Actress Emily Kitchen’s Betsy is deaf, while her Lindsey is not, yet both are pregnant. The couple’s role in Act 2 is the reverse of that in Act 1, yet the rationale is the same whether it’s a Black family moving into a nice white neighborhood or its reverse, a white family taking advantage of a real estate deal available in blighted Black neighborhood. What isn’t addressed is how the family home came to be sold and why was it in such disrepair? If one remembers Mama Lena and her family, there was such pride in ownership. What happened to the grandson, Walter, and his wife, Ruth’s son, Travis Younger? What happened to the sister who wanted to be a doctor, Beneatha Younger (“Bennie”)? 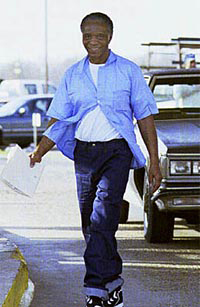 What happened to Walter Lee Younger? Norris says in that same interview in response to a question on humor: “Tim Sanford, who runs Playwrights Horizon in New York [where ‘Clybourne’ premiered last February], referencing a political theorist he’s read, who says tragedy is only possible in a community where everyone shares the same sense of themselves, where everyone has the same identity,” that “[i]n a modern society as fragmented as ours, that’s not possible. … The second part is comedy [because] the people in the first act all understand each other much more than the people doing the second act; everybody makes assumptions. In Act 2, which is supposed to be a comedy – humor a relative social concept – the clients and their attorneys are seated in the blighted house, dark, dank and gloomy, with their future neighbors to resolve a zoning issue which is tying up their construction plans. There is graffiti on the walls in a room missing doors, dark, long uninhabited. The contrast between 1959 and 2009 is evident just 50 years later. Norris says that Lorraine Hansberry’s play, along with “Our Town,” were a part of his school curricula when he came up in the 1970s in Houston in an all-white community and that this constituency is his audience. “When asked why I don’t write plays about people in housing projects, I say, ‘Well, because those are not the people who go to theatre.’ … People who buy subscriptions [to large theatres] are usually wealthy people. They are almost always wealthy, liberal people. So why not write plays that are about those people, since those are the people in the audience? If you actually want to have a conversation with that audience, then you have to address them directly.” Read more of this interview on act-sf.org/wordsonplays. The five additional performances will take place on the following dates: Wednesday, Feb. 16, at 8 p.m.; Thursday, Feb. 17, at 8 p.m.; Friday, Feb. 18, at 8 p.m.; Saturday, Feb. 19, at 8 p.m.; and Sunday, Feb. 20, at 7 p.m. “Clybourne Park” plays at the American Conservatory Theater, 415 Geary St., San Francisco. Tickets, starting at $10, are available by calling the ACT box office at (415) 749-2228 or at www.act-sf.org. Listen to an interview with actress Omoze Idehenre on blogtalkradio.com/wandas-picks Friday, Feb. 11, 2011, at 9:30 a.m. It is an hour. “Family Journeys: A Celebration of Black History and the African American Family,” is Saturday, Feb. 19, 10 a.m.–2 p.m., at the Black Repertory Theatre, 3201 Adeline St., Berkeley. Learn about the journey of Black migration to the Bay Area and discover your own family history at this special community forum. Be inspired as you listen to local experts, community leaders and youth engage in an inter-generational dialogue. Black Family History Day will be presented by the African American Genealogical Society of Northern California (AAGSNC), Sunday, Feb. 20, 2011, 2-5 p.m., at the Family History Center at the Mormon Temple, 4766 Lincoln Ave., Oakland. Antoinette Broussard, author of “African American Celebrations and Holiday Traditions,” will be speaking. Volunteers from the AAGSNC will be available to help attendees prepare a four-generation ancestor chart as a start in gathering their family histories. Claudette Colvin, who refused to give up her bus seat in Montgomery, Alabama, nine months before Mrs. Rosa Parks, will be the featured speaker at the Bay Area forum, “Riding While Black 1955 and Walking While Black 1999” on Sunday, Feb. 6, 1:30 p.m., at the San Francisco Main Library’s Koret Auditorium. Ms. Colvin was just 15 years old at the time. “Rebellion was on my mind that day. All during February we had been talking about people who had taken stands. We had been studying the Constitution in Miss Nesbit’s class. I knew I had rights,” Ms. Colvin said. The following year she became the star witness in the federal case, Browder v. Gayle, that desegregated the Montgomery buses. Her story is told in the book, “Claudette Colvin: Twice Toward Justice,” by Phillip Hoose, a Newbery Honor Book and a 2009 National Book Award winner. Ms. Colvin will be in conversation with Enid Lee and Bryonn Bain. Bryonn Bain, prison activist, author, teacher and hip hop artist, was wrongfully imprisoned by the NYPD during his second year at Harvard Law and he sued the City of New York. Bain’s story, “Walking While Black: The Bill of Rights for Black Men,” was published in the Village Voice and he was featured in an interview on 60 Minutes. His nationally touring one-man show, “Lyrics from Lockdown,” tells the story of his wrongful incarceration through hip hop, theatre, spoken word, calypso, lyrics and letters exchanged with a fellow poet and friend – sentenced to Death Row at the age of 17. Enid Lee, world renowned anti-racist and multicultural educator, is an accomplished “front line teacher,” educator, researcher, writer, consultant, facilitator and speaker. She has taught in the Caribbean, Canada and the U.S. and has been involved in the professional development of teachers for two decades. She consults internationally on anti-racist, inclusionary and equitable education. The forum will feature cultural performances by Bryonn Bain and Awele Makeba. Awele Makeba has made it her life’s work to tell history through the words of its oft-forgotten witnesses and has mesmerized audiences around the world, from the Kennedy Center for the Performing Arts to the Musikverein in Vienna, Austria, to the Suriname rainforest and Tsinchu Teacher’s College in Taiwan. She is an award winning and internationally known storyteller, recording artist, educator and warrior for social justice. The forum is presented by the African American Interest Committee and the African American Center of the San Francisco Public Library in association with the San Francisco Unified School District. A book and CD signing follows the program and reception. The program is FREE and wheelchair accessible. The San Francisco Main Library is at 100 Larkin St. at Grove, (415) 557-4277. Visit www.sfpl.org. It is across the street from the Civic Center BART Station. The Lindsay Dirkx Brown Gallery, located in the San Ramon Community Center, 12501 Alcosta Blvd., San Ramon, (925) 973-3200, in conjunction with The Art of Living Black and the Black Families Association of Contra Costa County, present “Rhythm of Life,” a diverse collection of artworks from award-winning artists during Black History Month 2011. The exhibiting artists are Kabir A. Adejare, Patricia A. Montgomery and Karin Turner. The reception is Sunday, Feb. 6, 1-4 p.m. The show runs Feb. 2-28. For more information, akaartwork@aol.com. See a preview of the exhibition on Facebook, at http://www.facebook.com/album.php?aid=45621&id=100000425323156&l=66e63279a7. The Museum of the African Disapora opened a new exhibit Jan. 28 that looks at African Diaspora quilting traditions and jazz. Visit http://www.moadsf.org/exhibits/_current.html. Lynn Nottage’s “Ruined” starts at Berkeley Rep on Feb. 25. 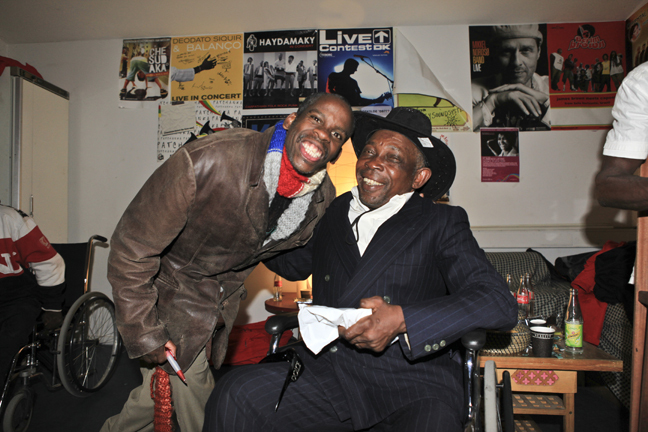 I miss Quentin Easter and Stanley Williams of the Lorraine Hansberry Theatre. Khahil El Zabar is in town this weekend for one evening at Yoshi’s in Oakland. The same is true for Randy Weston, who is at Yoshi’s in San Francisco for 8 p.m. to talk about his latest book and CD. It will be fun seeing the great man, whom I saw last in Dakar. The 26th Annual Empowering Women of Color Conference 2011 is Saturday, Feb. 19, 9:30 to 5:30 at the MLK Student Union Building at UC Berkeley. Register at ewocc.berkeley.edu. Angela Y. Davis and Ericka Huggins are in conversation. Goapele is performing at the 5:30 p.m. reception. “Black Choreographers Festival: Here and Now” begins its three weekend long celebration Friday-Sunday, Feb. 11-13, at Laney College Theatre. The first two performances are at 8 p.m. and Sunday is a family matinee, at 4 p.m. There are free films screening all three weekends at the various venues: Laney College for Week 1, ODC Theatre for Week 2 and Dance Mission for Week 3. Visit www.bcfhereandnow.com. CCBPP’s annual Black History Month celebration, “Today’s Struggles and History’s Lessons: In Honor of Dr. Huey P. Newton’s Birthday,” is Saturday, Feb. 19, 4-6 p.m. for the film, 6-7:30 p.m. for the speakers, followed by an open mic, poetry and music at the Humanist Hall, 390 27th Ave., Oakland. Suggested donation is $10, but no one will be turned away for lack of funds. For information, call (510) 652-7170. “Black Local Art: A Collection of Black Artists Currently Residing in the Bay Area Exhibit” is Feb. 4-23 at 416 26th St., Oakland, www.warehouse416.com. Artists are Selamawit Meonen, Jimi Evins, Bryon Malik, William Rhodes, Nancy Cato and James Reid. It is a great exhibit. Also, at the Oakland Museum, Friday, Feb. 25, there will be a special tribute to the DRUM honoring Fela Kuti, with scholars and artists presenting, such as Favianna Rodriguez, Anthony Brown, Emory Douglas, and CK Lazekpo. Lagos Roots Africa Ensemble, featuring members of Fela Kuti’s Africa 70 Band like Sonny Okosuns, are performing Friday, Feb. 11, 10 p.m., $10, at Disco Volante, 347 14th St., Oakland. Visit http://www.discovolanteoakland.com/. The 57th Street Gallery is proud to present the “57th Street Gallery Jazz Salon: Jazz History, Discussion and Presentation” every second Saturday of the month from 3 p.m.-6 p.m. Jazz Theory Performance class will take place every Wednesday from 6-8 p.m. Instructor will be Mr. Carl Garrett. Call (510) 654-6974 for information. • 9:30 p.m. A talk with Robert King of the Angola 3: Celebrate 10 years of freedom for Robert King of the Angola 3 and join his struggle to save the remaining two, Herman Wallace and Albert Woodfox. • 7 p.m. “Operation Small Axe,” director Adimu Madyun, executive producer MOI JR Valrey, 90 minutes. “Operation Small Axe,” about police terrorism in Oakland including the cases of Oscar Grant and Lovelle Mixon, will be shown at the Pan African Film Festival in Los Angeles on Feb. 20. Bay View Arts Editor Wanda Sabir can be reached at wsab1@aol.com. Visit her website at www.wandaspicks.com throughout the month for updates to Wanda’s Picks, her blog, photos and Wanda’s Picks Radio. Her shows are streamed live Wednesdays at 6-7:30 or 8 a.m. and Fridays at 8-10 a.m., can be heard by phone at (347) 237-4610 and are archived on the Afrikan Sistahs’ Media Network. “A Declaration of a Body of Love Poetry"
“African American Celebrations and Holiday Traditions"
“Birds Eye View: the Abu Dhabi version"
“Claudette Colvin: Twice Toward Justice"
“Family Journeys: A Celebration of Black History and the African American Family"
“In the Land of the Free"
“Jean Michel Basquiat: Radiant Child"
“Justice on Trial: The Case of Mumia Abu Jamal"
“Not a Genuine Black Man"
“The Angola 3: Black Panthers and the Last Slave Plantation"
“The Trials of Henry Kissinger"
“Today’s Struggles and History’s Lessons: In Honor of Dr. Huey P. Newton’s Birthday"
“Walking While Black: The Bill of Rights for Black Men"
“When We Were Kings: Ali"
Contemporary African Short Films. 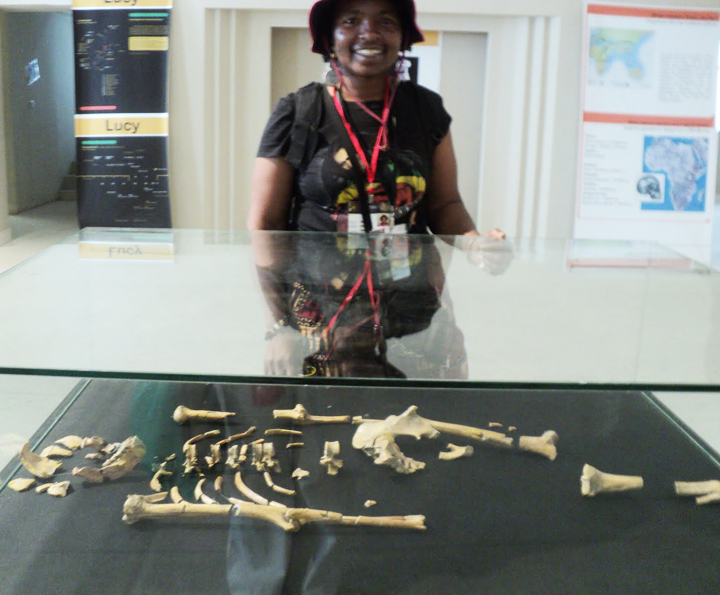 “A History of Independence"
Sugar of the Crop: My Journey to Find the Children of Slaves"